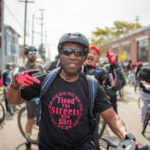 Bay Area BMXers is a new grass roots Non-profit organization and requests donation support and/or sponsorship from your organization. With your assistance, we’ll recruit approximately ten youths, (males and females) to train for State and National BMX bike races. Your contributions will keep our young people active, teach discipline and most importantly promote positive youth involvement within our community. Ultimately, with hard work and training, these youths could compete in the World Olympics, as BMX racing is an Olympic Sport. My dream is to put a BMX bike in our youth’s hands, cultivate team spirit and possibly alleviate some of the violence they see or experience on a day-to-day basis. I grew up in the East Bay all my life and I’ve seen so much violence throughout the years and I feel inspired to make a difference for the future and our community. With your assistance we can make this happen! I’m a prime example of growing-up in Oakland in the early 80’s, where violence was at an all time high. In those days, you had a choice of two roads; a straight and narrow or a dead-end road. I’ve chosen the narrow road to achieve the impossible and I still enjoy BMX racing today! 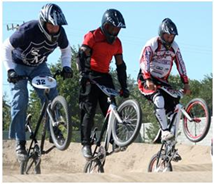 I’ve competed as a BMX rider for over thirty years and won over 15 National Championship competitions. Now, I want to share my experiences with other youths and establish that given the opportunity, everyone has a chance to learn competition at its best. They’ll gain knowledge that you can be a champion for your neighborhood and on the race track. As a single African-American father raising two children on my own, I have encouraged and trained my youngest son Brandon Cato at the age of 4 years old to ride and race BMX bikes. Currently, my son is 18 years old and has won over 25 National Championships. I’m very proud to announce Brandon makes good grades and he’s on the right track to attend Cal State East Bay University. Our Future Upon acceptance of your donation or sponsorship, the organizers of the Bay Area BMXers will strive to make sure our relationship continues to be mutually beneficial during this time of our exciting expansion plans, and we look forward to successful results from this project. As a mentor, I am personally committed and fully dedicated to our youths. 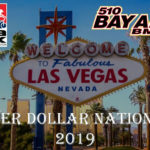 I will continue to communicate the progress of our efforts through our website www.bayareabmxers.org, which will be updated with pictures and videos as they grow from the BMX racing experience. Thank you in advance for your donation or sponsorship. Feel free to contact Howard Cato for detailed documents that will serve as a contract between us and your organization at (510) 418-3737 or email bayareabmxers@yahoo.com.